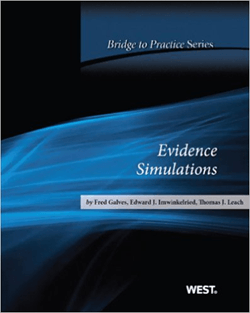 This volume in the “Bridge to Practice” series is designed to help students hit the ground running when they graduate, focusing on the trial context – how to handle evidentiary issues in the heat of battle. In ten chapters it takes the class through each of the major areas of Evidence law, using simulated trial settings, pre-trial arguments, and trial-planning evidentiary analysis. The exercises are based on two simple, easy-to-grasp case scenarios (one civil, one criminal). In some exercises the students play all the roles; in others they watch video’d trial segments “cold” and are required to react with objections and arguments in support of or in opposition to offered evidence. Each exercise is preceded by a set of “points to remember” to equip beginning students with the trial advocacy skills they need to handle a simulated trial setting. A final exercise combines all areas into one summary wrap-up useful for a session on overall course review. The Teacher’s Manual describes how these exercises can be successfully integrated into a traditional “podium” course, with tips on room set-up; role assignments, and effective methods of feedback. 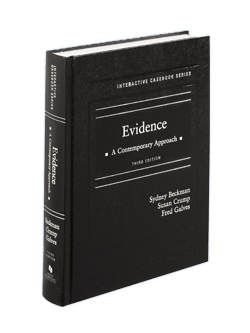 An alternative version of the book contains expanded versions of the case files for use in a course in which Evidence and Trial Advocacy are to be taught simultaneously. Paul Rothstein & Fred Galves, “Global Issues in Evidence” West Academic Publishing (forthcoming, 2016). The book will be used in either a traditional Evidence course, or a Comparative Law course. 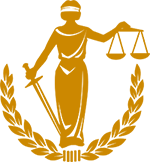 We plan to analyze various selected topics in Evidence law in the US, and compare and contrast those topics with the way in which those topics are addressed in many countries around the world. The goal is to expose US law students to evidentiary and trial systems that are similar, but also, in many respects, quite different from our system, and consider how these differing codes and conventions are a function of important policy choices, relevant legal history, and cultural differences that help to explain the development of the law in various justice systems around the world.